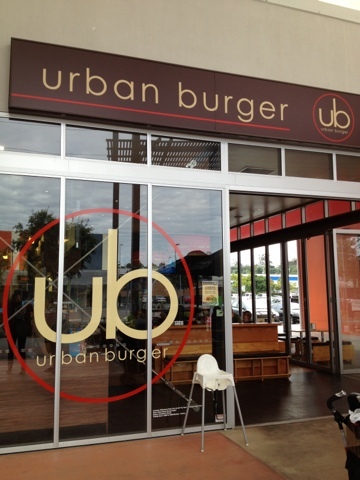 Not often do we venture to Browns Plains in search of eats, but after visiting Bunnings on the weekend we were too hungry to drive around and settled down at the local Urban Burger joint. 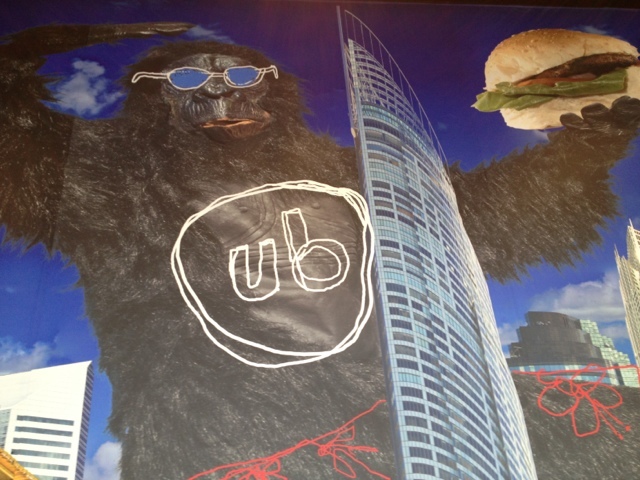 We hadn’t been to an Urban Burger place before but have frequented Grill’d for years and came with high hopes that it could match our favourite burger joint. First impressions count and we were glad to see occupied tables, which was usually a good sign. 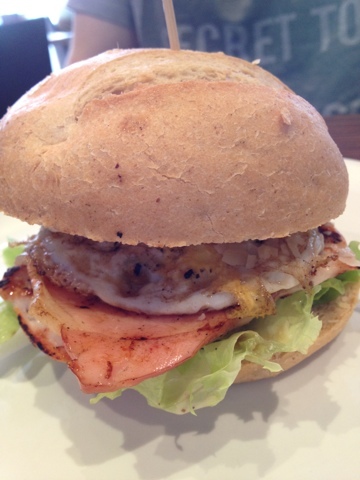 I had The King -100% King Island beef, brie cheese, rocket, tomato, tangy red relish, aioli ($11.90) and D had Chicken Ceasar – Fresh breast of chicken, lettuce, bacon, egge, parmesan cheese, caesar dressing ($10.90). 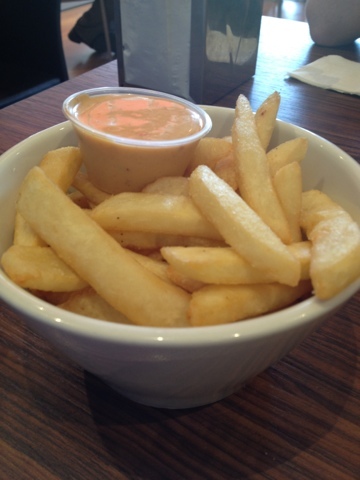 We also ordered Regular Chips ($3.90) and Chilli Aioli (70c) to share. The burgers arrived pretty quickly and both looked appetising on the plate. However, one of the first things we noticed was that the bun had quite a thick top layer and the bread looked pretty dense. The meat in the “Chicken Ceasar” was a little dry, but the caesar dressing was creamy and tangy which saved the burger. The other toppings tasted fresh and were well balanced. As for “The King”, the beef pattie was moist and juicy and the other ingredients went well together, particularly the creamy Brie cheese. The only failing in our opinion was that the burger lacked any zing and could have done with a bit more kick in the “tangy red relish”. The chips were just average and the aioli was similarly a bit bland for our liking with no real kick to it. Overall, it was a pleasant enough meal and we were glad we tried it out. 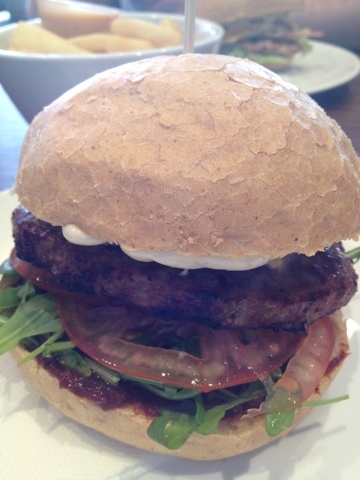 In our opinion, it was just a step short of matching Grill’d flavour combinations and taste.